Are you injured at the fault of another but not sure what to do? What kind of personal injury cases does the Powell Law Group handle? I was injured, do I have a case? In order to recover for personal injury, the injury must have been caused by another person’s negligence. Each person in society has a duty to exercise reasonable care so as not to injure others. Negligence occurs when a person fails to exercise this reasonable care, breaches a duty to the victim and that person is harmed as a result. The degree of damage and the level of compensation to be awarded will be determined by a judge or jury. It is important to consult an attorney to determine whether a breach has occurred, and whether you have a viable personal injury claim. We advise that you seek immediate medical attention and call our firm as soon as you can. Damages for personal injury cases are based on a proof of injury. Proof of injury is shown by medical treatment. It is important to seek medical treatment after an accident in order to prove your injuries to receive maximum compensation. If you are involved in an automobile accident, you should contact your insurance provider immediately. The person causing the accident normally would have insurance. An insurance adjuster for the other car may make a settlement offer; however, you should never settle without knowing the true value of your claim. Our experienced attorneys can help to assess the real value of your claim so that you can be fairly compensated. Virginia follows the rule of “contributory negligence,” meaning the injured party can only prevail on a negligence claim if the other person is “totally” at fault for the accident or injury. If the trier of fact, judge or jury, finds that the injured party is minimally at fault, even if the other person was mostly at fault, then the injured party may not collect damages. 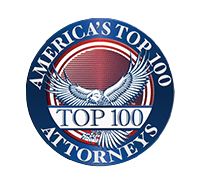 It is important to consult an attorney to analyze the facts of your case and determine the likelihood of success. If your case goes to trial, a jury may be the “trier of fact” to determine liability. If the judge or jury concludes that the defendant was negligent, then damages will be assigned accordingly, based on the above factors. Each state has a time limit for filing a lawsuit, also known as a “statute of limitations.” In Virginia, the statute of limitations to file a lawsuit for a personal injury case is 2 years. This means that you have 2 years from the time of the accident/injury to file a claim. If you miss this deadline, you may lose your right to recover damages for your injury. After you suffer an injury, you should immediately consult an attorney to discuss the facts of your case and to determine the proper course of action, which may include filing a lawsuit. The length of each case will vary based on a variety of factors. A case could take as little as a few months or as long as a few years. At the Powell Law Group, we will work to make the process of your personal injury lawsuit as efficient and timely as possible. Your initial consultation with the Powell Law Group is free of charge. The initial consultation does not obligate you to retain the Powell Law Group to represent you. The Powell Law Group accepts most cases on a contingency fee basis, rather than an hourly fee. This means that we receive a percentage of your recovery, plus any expenses or costs incurred during the case. How does the case proceed if I hire the Powell Law Group to represent me? Review of crucial documents, such as medical records, medical bills, records of lost wages, police reports, incident reports, photographs, statements by witnesses, etc. If we cannot negotiate a fair settlement, the Powell Law Group will file a lawsuit on your behalf. Any other record or document that you believe is important to evaluate the extent of your personal injury or property damage.